The city of Ica is the capital of the Ica Region in southern Peru. While the area was long inhabited by varying cultures of indigenous peoples, the Spanish conquistador Ger�nimo Luis de Cabrera claimed its founding in 1563. As of 2005, it had an estimated population of over 219,856. 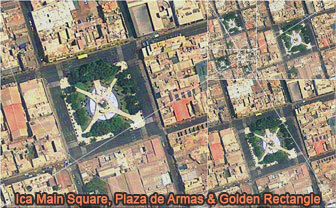 The city suffered extensive damage and loss of life during the 2007 Peru earthquake. Source: Wikipedia: Ica.